Rivervue is a premium lifestyle retirement village in Melbourne with a vibrant community for over 55s in the northern suburbs. Residents enjoy a private riverscape where a stunning view gently falls away to the water. 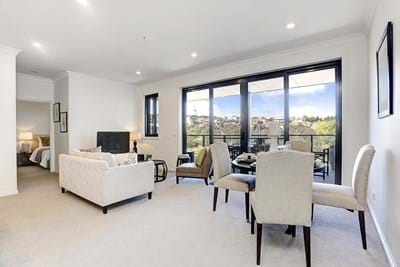 Perfectly situated on the Maribyrnong River, it’s hard to believe that a retirement lifestyle like this is possible and only 9km from Melbourne’s CBD. Our shared spaces include the new Rivervue Community Centre - this state of the art facility features dining room facilities, bar, pool & gymnasium, and is home to Rivervue’s apartments. To organise an appointment please call or complete the form and our team will be in touch. 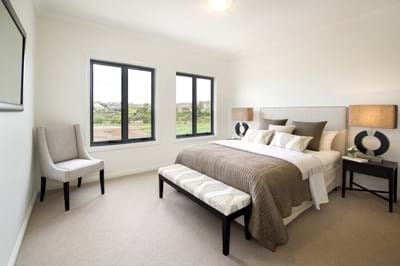 Rivervue has a wide range of attractive properties in the Village. Two bedroom to three bedroom & study villas, and spacious apartments with two bedrooms, or two bedrooms plus study have already been constructed, with more variety of villas under construction with completion due within months. Please take a look at what we currently have available and contact us to discuss how best we can help you find the right property for you. 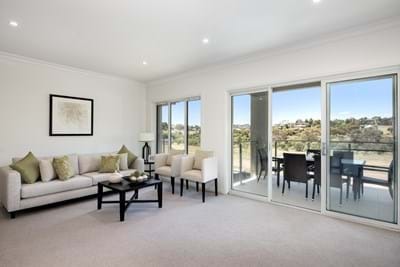 On the top floor of the Community Centre, Apartment 16 offers beautiful views over the Maribyrnong and the Rivervue Medway Golf Course and provides two balconies from which to enjoy it. Under construction, this villa has two great bedrooms, both with large robes, and 2 bathrooms. Open plan living looks out on to an East-facing balcony, fully enclosed for practical use throughout the year. Under construction, this villa offers the perfect environment for those wanting to maximize their retirement in a quiet, yet social environment. This delightful villa boasts a spacious kitchen with high gloss cabinetry, stone bench tops, glass splash back, and quality Bosch appliances. A 2 bedroom 'under' floorplan, Villa 61 is a great design offering good space and practical living. 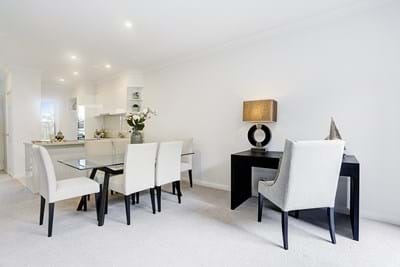 Open plan living and well sized bedrooms with great storage, make for a wonderful home. A lovely ensuite with a huge shower adds a touch of luxury, and the second bathroom allows for easier guest stays. On the top floor of the Community Centre, Apartment 9 has a lovely Northerly aspect and provides two balconies from which to enjoy it. This two bedroom apartment also features built-in and walk-in robes, and two bathrooms for any visiting guests. If you would like to know more about a contemporary and fresh approach to retirement and over 55 living, get in touch with us today to organise a personal tour of Rivervue. Contact us via email or call.